Trazodone is an antidepressant drug which acts on the brain’s neurotransmitters with more emphasis to the serotonin inhibitory. It prevents the uptake of serotonin by the brain nerves, thereby treating depression, insomnia, also help with healthy sleep patterns. The concomitant use of Trazodone with other drugs can lead to severe, dangerous, and moderate interactions. Severe drug interactions with Trazodone is as a result of increased serotonin activity in the body, leading to serotonin syndrome. At this stage, patients start to experience extreme symptoms like altered consciousness, hallucination, diaphoresis, and many others. Intake of Trazodone with other drugs should be avoided unless prescribed by the doctor. In this article, readers would learn about Trazodone interactions with other medications, food, and weed. 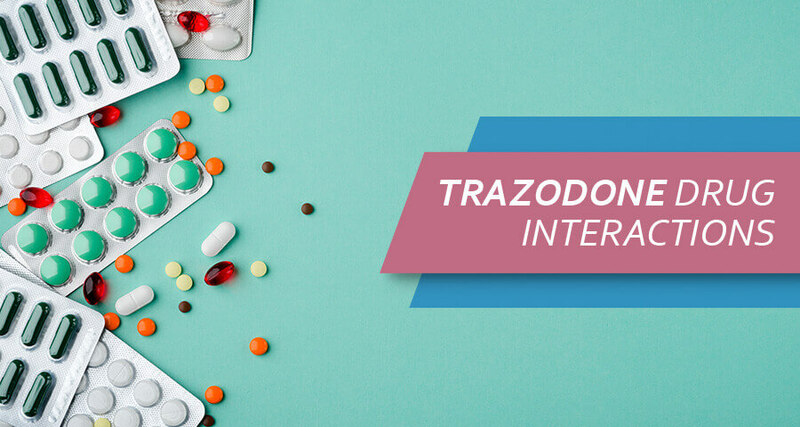 What Are The Severe Trazodone Interactions? What Are The Serious Desyrel Interactions? What Are The Moderate Oleptro Interactions? How Does Trazodone Interact With Food? What Is The Trazodone Interaction With Weed? Trazodone interaction with some drugs leads to severe health issues that can cause death. Unless prescribed by the doctor, the following drugs listed below should be avoided under Molipaxin medication (Molipaxin is also Trazodone trade name, just like Desyrel, Oleptro, and Trittico.) These drugs interaction are contraindicated and can pose severe health challenges. Oleptro and Quinidine: Oleptro interacts with quinidine leading to an increase of QT Intervals. An increase in QT Intervals can lead to sudden cardiac death. Oleptro and Safinamide: The concomitant use of these drugs could result in life-threatening serotonin syndrome. Oleptro and Isocarboxazid: Oleptro interacts with isocarboxazid, thereby increasing serotonin level and resulting in life-threatening serotonin syndrome. 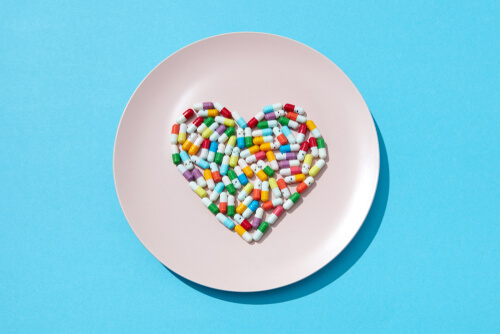 Molipaxin and Amitriptyline: The concomitant use of these drugs lead to a rare, and severe condition called serotonin syndrome. The symptoms include confusion, hallucination, seizure, muscle rigidity, extreme changes in blood pressure, etc. Oleptro and Celexa: Oleptro interacts with Celexa (citalopram) leading to life-threatening serotonin syndrome. Trazodone and Cymbalta: Molipaxin interaction with Cymbalta (duloxetine) thereby increasing the risk of serotonin symptoms due to the presence of serotonin activity in both drugs. Trazodone and Flexeril: Molipaxin interacts with Flexeril (cyclobenzaprine) causing serotonin syndrome. Lexapro and Trazodone: Molipaxin interacts with Lexapro (escitalopram) resulting in severe serotonin syndrome. Oleptro and Wellbutrin: Oleptro interacts with Wellbutrin leading to seizures. Oleptro and Zoloft: Oleptro interacts with Zoloft causing life-threatening serotonin syndrome. Desyrel and Tramadol: Desyrel interacts with tramadol leading to increased risk of seizures and serotonin syndrome. Just like most antidepressant drugs, Desyrel comes with a lot of side effects. Even though, it is not advisable to use any of the medicines listed below with Desyrel. If the benefits outweigh the risks, patients can use them under moderate usage. However, it must be done under close supervision by a doctor. Ambien and Trazodone: Desyrel interacts with Zolpidem(Ambien) causing central nervous system or respiratory system depressant effects. Trazodone and Ativan: The concomitant use of drugs increases Trazodone side effects. Benadryl and Trazodone: The concomitant use of these drugs can result in dizziness, confusion, difficulty in concentration, impaired thinking. Trazodone and Xanax: Desyrel interacts with Xanax causing prolonged CNS and respiratory depression. Molipaxin and Suboxone: Molipaxin interacts with Suboxone causing increased irregular heart rhythm. Trazodone and Seroquel: Desyrel interacts with Quetiapine (Seroquel) causing electrolyte disturbances, and severe QT syndrome. Molipaxin and Oxycodone: Molipaxin interacts with Oxycodone causing prolonged Central Nervous System and respiratory depression. Molipaxin and Pregabalin: Molipaxin interacts with Pregabalin (Lyrica) causing Trazodone side effects like drowsiness, headache, prolonged erection. Molipaxin and Sumatriptan: Molipaxin interacts with Sumatriptan resulting in minor side effects. Molipaxin and Rosuvastatin: This interaction leads to an increased level of Rosuvastatin (which is a lipid-lowering agent). Molipaxin and Promethazine: Molipaxin interacts with Promethazine causing decreased metabolism of Promethazine. Molipaxin and Metformin: The concomitant use of these drugs lead to an increased level of metformin in the body. Molipaxin and Loratadine: Molipaxin interacts with Loratadine reducing the effects of the latter. Molipaxin and Acarbose: Interaction results in an increase in the effects of Acarbose. Trazodone as an atypical antidepressant reacts with food which sometimes leads to serious health issues. Foods like grapefruit or foods containing grapefruit are very harmful to the body if used with Desyrel. The concomitant use of them increases the side effects of Desyrel, thereby elevating the risk of heart arrhythmias. Heart arrhythmias is a very deadly condition resulting in abnormally slow or fast heartbeat. Additionally, herbs like St John’s Wort and Digitalis interact with Trazodone hydrochloride. 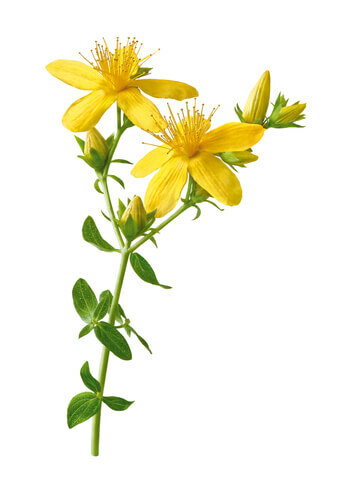 Caution should be taken when using St. John’s Wort (Hypericum Perforatum) with Desyrel because it causes serotonin syndrome. Alcohol and Trazodone taken together potentiate central nervous system depression, impairment of judgment, and coma. Caffeine: Desyrel interacts with caffeine causing increased activity of Desyrel and decreased activity of caffeine. Green tea: The concomitant use of Desyrel and green tea increases the risk of bleeding. Rice, beans, etc. : Food rich in carbohydrates and light snacks taken with Desyrel helps to slow down the drug absorption by the body to extend how long the medication will work. Ginkgo biloba: concomitant use can cause a patient to lose consciousness. A patient with Alzheimer’s disease was said to experience coma after taking a low dose of Desyrel with gingko biloba. There are other food interactions with Desyrel, but can’t be listed due to insufficient data. At this stage, it is important to seek the doctor’s advice before trying out any food with the drug. On a general note, Desyrel should not be used on an empty stomach. Using the drug on an empty stomach can result in greater side effects of Desyrel which include dizziness, lightheadedness, etc. Also, Trazodone weight gain is common when using the drug for a long period. The concomitant use of Oleptro with weed is dangerous and should be avoided. Using them together increases the level or effect of Desyrel by affecting the hepatic/intestinal enzyme CYP3A4 metabolism. It also causes prolonged central nervous system and respiratory depression. Hence patients start experiencing side effects such as dizziness, drowsiness, confusion, and difficulty concentrating. Some people, especially the elderly, may also experience impairment in thinking, judgment, and lack of sleep. However, Trazodone for insomnia can be prescribed by the doctor.